To become a lifetime member fill out the Registration Form. 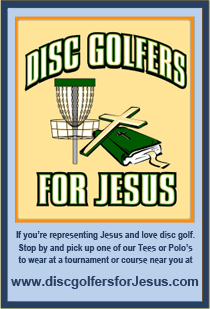 With your membership you will receive a custom membership bag tag which will give you the chance to show others that you believe in our Savior Jesus Christ. You do not have to send payment until you receive your bag tag. Even then it is on the honor system. If you don't feel its worth it then keep your money and the bag tag. The most important part is we unite in our love for Jesus Christ. With your membership you will receive your custom membership bag tag with your life time member number.